Virtual reality may be a fantasy world in theory, but the term and the idea are real in practice. Virtual reality is starting to take off with mobile tech companies, particularly those within Android, and at the forefront of the mobile VR revolution is Samsung. The Korean giant decided to add a CPU cooling system to its Galaxy S7and Galaxy S7 edge in order to keep them “running fast without running hot,” according to Samsung’s very own Justin Denison. The goal is to encourage gaming on these new mobile devices, and with that, more interaction with your phone and Gear VR. I’ve attempted to game on my mobile device and haven’t had much of an overheating experience there, though most smartphone buyers can attest to warming and overheating during mobile gaming. Anyone who tries gaming on Gear VR, however, will quickly notice overheating. In fact, when your smartphone is getting hot, the phone will bring up a message about powering down your phone until it cools down. It happens to me after 30-45 minutes of use with my Galaxy Note 5 and Gear VR: there I am, sitting under the stars in Starship’s vTime app, outside of my tent, watching a snake crawl around the campfire, the fire blazing in the distance, while an owl flies from tree to tree every few minutes and the leaves sway due to the slight wind that blows (I sure wish I could feel the fire and wind on my face; that would really convince me the scene was real!). Usually, I click “continue” to finish my gaming experience (that is, until I’m at 5% battery remaining and can’t ignore powering down my handset anymore), but it reminds me that as I game in VR, my handset is getting warm – considerably so. When I watched Samsung announce the first-of-its-kind CPU cooling system for the Galaxy S7 and S7 edge, I was reminded of how warm my Galaxy Note 5 gets when gaming with Gear VR, which makes me appreciative of what Samsung is doing in these two new handsets. After all, it’s simple logic: the better the CPU cooling, the better-performing the handset, the longer time spent in VR, the more consumers love it, the more they’ll invest in the Galaxy S7 and S7 edge, the more they’ll invest in Gear VR gaming and Oculus software, etc. You get the picture. The Snapdragon 820 processor inside the Galaxy S7 and S7 edge (certain variants, mind you) has already been optimized to prevent excessive warming and overheating. Early rumors about a CPU cooling system implied that the Snapdragon 820, like its predecessor, was a “hot potato,” but that doesn’t seem to be the reason at all. In the middle of the Korean giant’s discussion of its new smartphones’ capabilities, Samsung mentions the CPU cooling system. It seems to me that, whatever the new CPU cooling system does for the general mobile experience, Samsung designed it specifically for the gaming experience – and Gear VR is a large part of that. 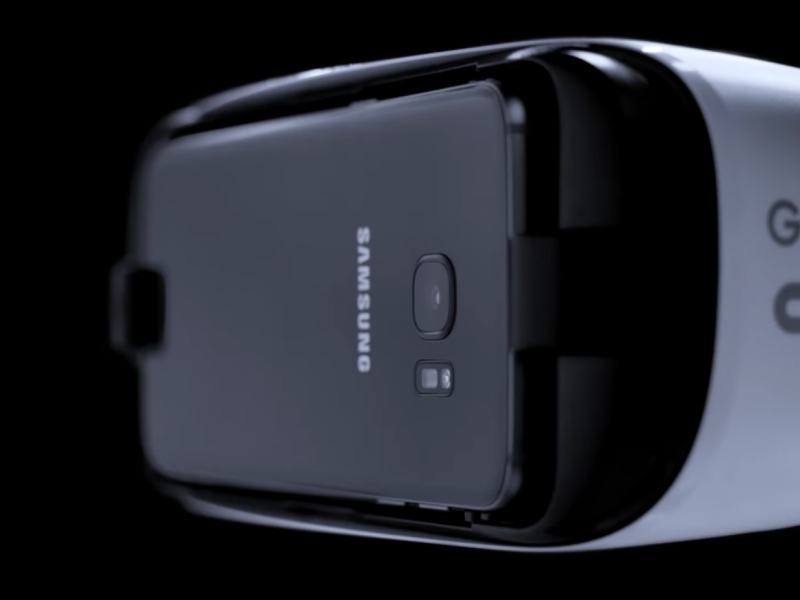 Test this theory: ask yourself why Samsung is including a free Gear VR with each Galaxy S7 or Galaxy S7 edge purchase. It’s not because Gear VR is expensive. Yes, Samsung has decided to take Gear VR and the mobile gaming experience to a whole new level. “How cool is that?” It’s really cool, both for the Galaxy S7 and S7 edge as well as the user experience. Once again, we’re living in exciting times.